Disclosure: The tray in this post was provided by Walnut Hollow. All opinions, images and love of painting projects are 100% mine. We finished our bathroom renovation a while ago, but one of the corners never seemed complete to me. I mean the renovations were done, but the decorating wasn’t. This corner was so … plain. We hung the towel bar for a hand towel, because we were sick of having the towel take up counter space. I’m ALL about getting the most out of counter space in the bathroom. I still felt like the perpendicular wall looked a bit plain and needed a decorative piece, but I hadn’t found the right one. I knew I could make one once I came up with an idea for the space. 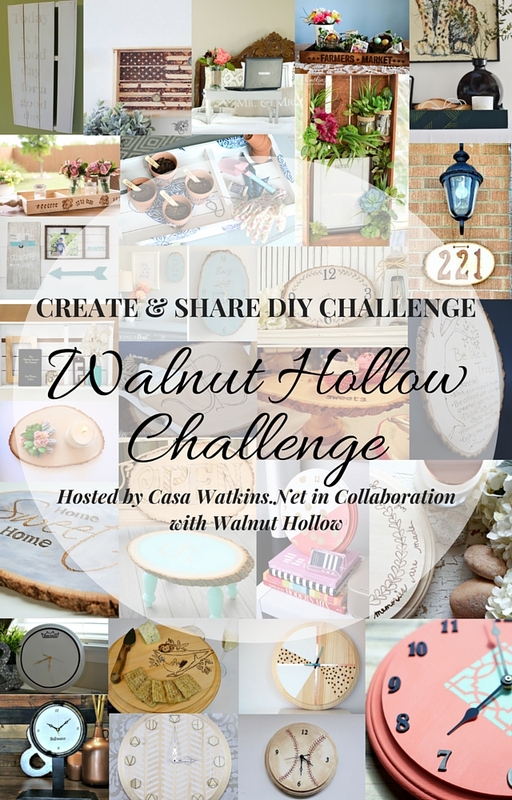 A few months ago, the Create & Share Challenge partnered with Walnut Hollow this month. I had this pallet tray to make over. 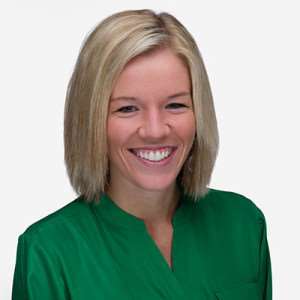 Note: Scroll down to see the other ladies’ projects. There are more trays, plus clocks and basswood rounds. We all know I have a tray obsession, but I also liked the pallet look of the back of the tray. Then I realized I could use the back of the tray to solve my plain bathroom wall problem. I started thinking about what saying I could put on the tray. Anyone remember the Fixer Upper episode where Joanna puts “Today is a good day for a good day” on the living room wall? I’ve loved that quote since and have had it in the back of my mind to use for a project. Then it hit me. The pallet plus the plain bathroom wall PLUS the quote – everything could come together for one great project! Shake it, then stir it. It’s safe to say I’ll be using this color again. I love how it’s white and bright with a rustic feel. Give the whole piece a coat of paint, let it dry for a few hours, then gave it a second coat. Apply the paint in the same direction so the brush strokes show up in the same direction. I always apply paint in the same direction as the wood grain, too, for a smoother look. 3. Apply wax, if using clay paint. If you used regular paint, skip this step. I applied clear wax, then a small amount of Driftwood gray wax. I didn’t apply too much of the gray wax, because I really like the look of the Vanilla Frosting paint I used. If you’re not familiar with chalky/clay paint and wax, check out this blog post about a small chest of drawers I made over with chalky paint. 3. Apply your letters to your wood. I used PicMonkey to write out my quote, then saved it as an image and pasted it in Microsoft Word. In Word, to flip an image so it prints backward, click Format picture > Rotate > Flip horizontal. You could also skip the PicMonkey step and write your quote right in Microsoft Word. Write the text in a text box (rather than right in a Word document) so that you can flip the text box to print backward. Isn’t this the coolest way ever to get a quote onto wood?! I’m definitely using this trick again. If the letters aren’t dark enough, you can mix some water and paint and go over the letters. Ours are a little light, but I like the look of it. I’m slowly adding a bit more rustic style to our house! And this little corner of the bathroom finally looks complete! Have you made any fun DIY rustic signs or projects lately? Check out the other bloggers’ projects below. I think I’m going to have to try out their wood burning kits next! What a cute and clever idea to make it into a wall quote. Love this idea. Thanks, Cathy! I just love the quote, too! The sign looks so great and I love the message. Great job! Cute idea Meg! I love that quote! Pinning! What a clever idea! It fits perfectly in your bathroom!!! Great idea to use the tray as wall decor! And I love that quote too! Pretty neat way to use that pallet tray! Love the farmhouse look! Love how you used the tray and that quote is awesome! Meg, this is genius! Love it and I love the quote! I love that you used the back of the tray, very unique! Great idea using the back for a sign! And it works great in that corner of your bathroom! Great way to creatively use your tray, Meg! Lovely job and your bathroom looks really sweet. Love this, Meg! Such a creative way to use the pallet tray. I’m definitely going to have to try that tutorial from Mountain Modern Life! Pinned and shared, friend! Thanks, Tiffany! It’s a great tutorial, you’ll love it! Love the quote you chose, this fits perfectly in your bathroom!